Reputation is a rating number to track how active users dedicate their time and knowledge to improve the community. It’s important to understand that reputation is not a measure whether someone is better – it’s all about collaboration, not competition. Reputation makes life of a community more logical, interesting and it’s easier to locate helpful people. Reputation depends on the value you create for the community. To increase your reputation, be more active – comment, agree/disagree, publish ideas, etc. It’s now possible to agree and disagree with comments (not just ideas), which also adds points. All reputation points can be seen in the user profile in the Reputation tab. 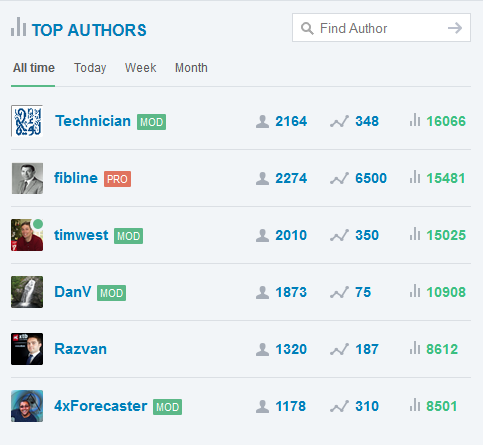 Top Authors shows the most active and helpful members of the community. You can also search for certain authors and filter by time.